Our itinerary for our day trip to Potsdam was quite ambitious. 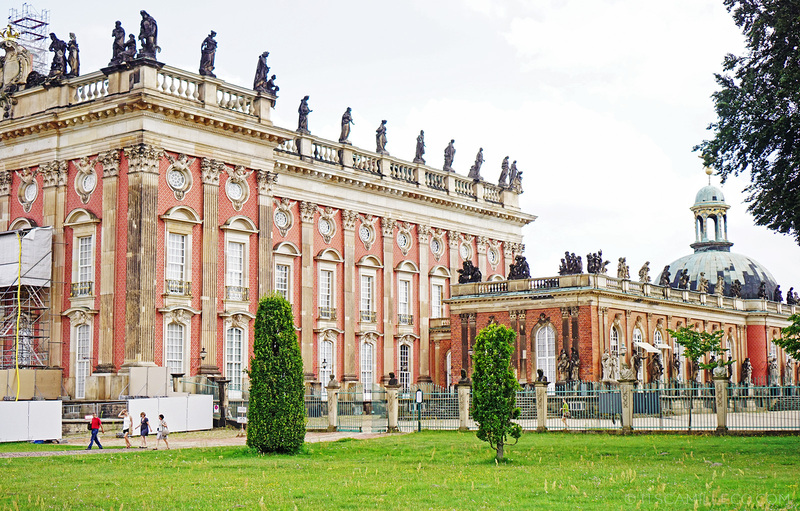 You see, Potsdam was a former royal city so it has no shortage of palaces and parks, most of which are UNESCO World Heritage Sites. You can just imagine how long our checklist of places to visit was! We probably could’ve visited them all if we joined a tour but my sister decided against it because she understood my need to take photos of every little thing I see. (Hence, the thousands of photos I end up complaining about every time I start making my travel diaries.) 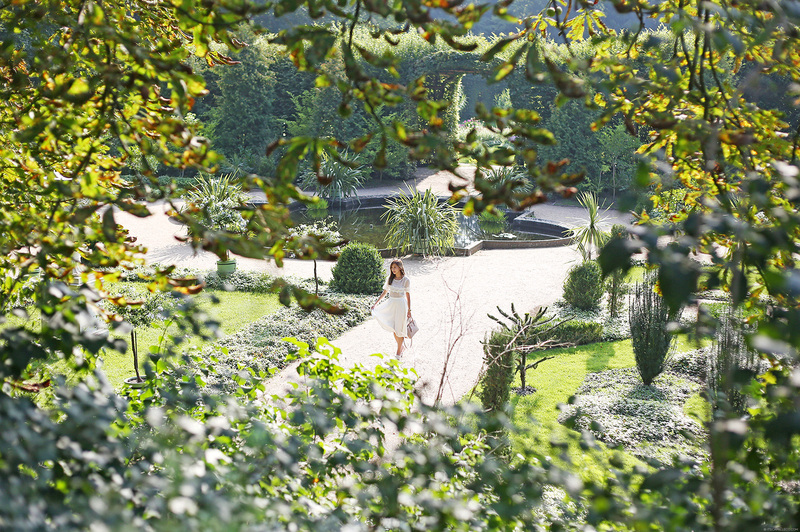 Once we stepped foot inside Sanssouci Park, we knew there was no way we’d finish our checklist. 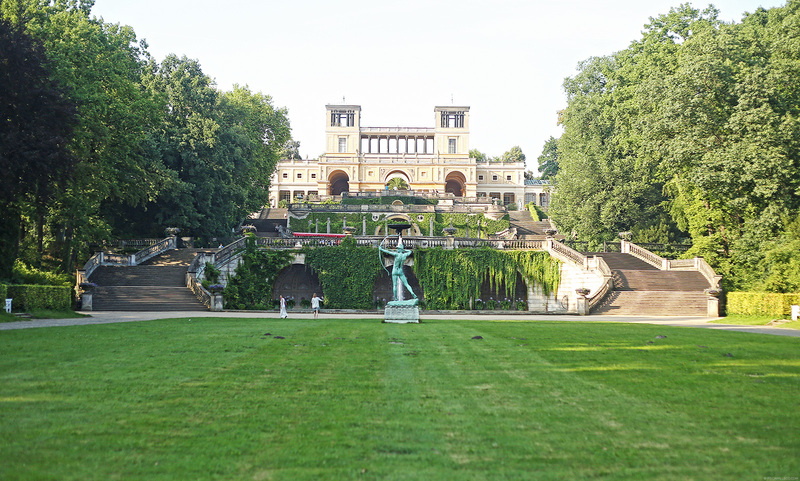 Sanssouci Park alone has various palaces and garden complexes already! The place is HUGE! I felt like I lost so much weight just walking from one palace to another. I kid you not, Sanssouci Park was a walkathon! It’s all worth it though. I mean, just look at the photos below. It’s a dreamland! This was the first thing I saw when we arrived. 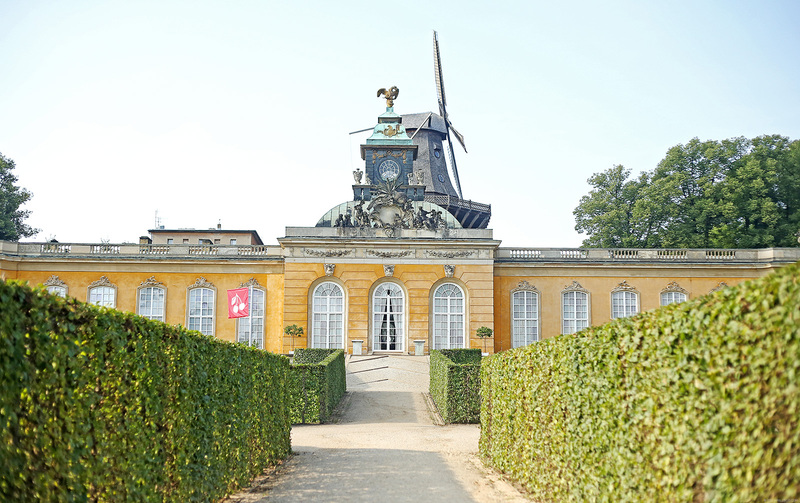 It’s located just a few steps away from the ticketing/souvenir shop of Sanssouci. 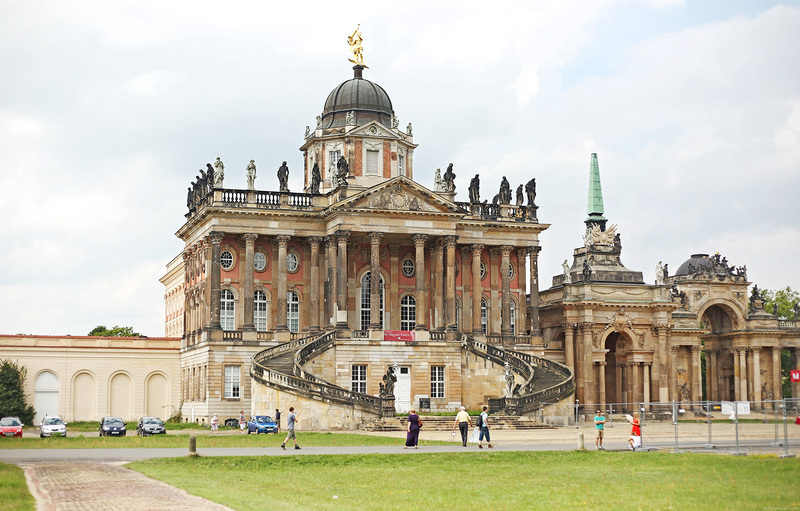 It’s not a palace but actually the University of Potsdam. How cool is that? A university right inside the royal gardens! Across the University is the Neues Palais or the New Palace. 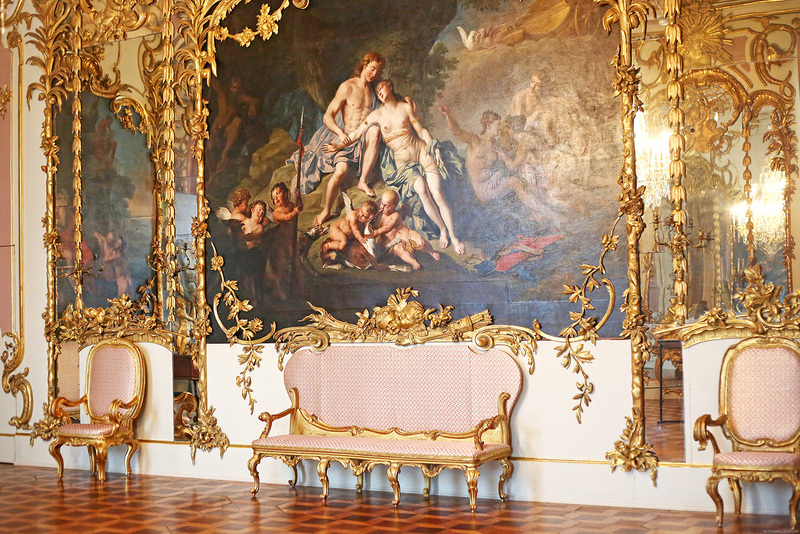 Although Schloss Sanssouci or Sanssouci Palace is the main focus of the park, there’s so much more to see inside the New Palace. I guess it’s because it was built by Frederick the Great to show Prussia’s glory and power after the Seven Years’ War. The New Palace is filled with luxurious ceremonial halls, magnificent galleries and richly designed private suites such as the King’s Apartment, all of which show extravagant Baroque elements. The King really wanted to “show off”, in a way. This entire palace was meant to welcome royals and dignitaries from all over the world. 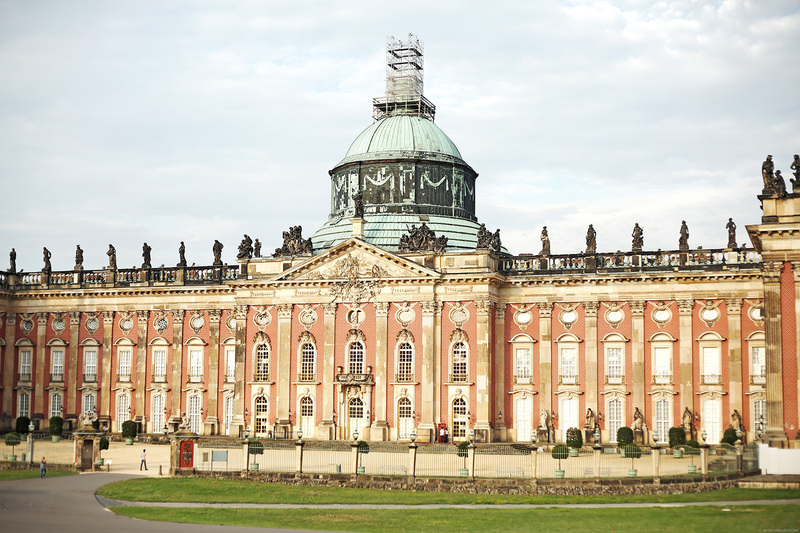 Located around 2 kilometers or so away from the New Palace is Schloss Sanssouci (Sanssouci Palace). 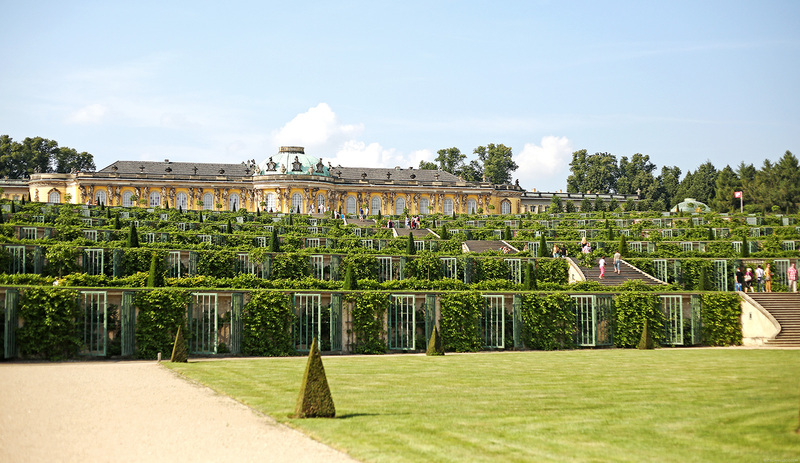 The palace sits atop a terraced garden that Frederick the Great had made to cultivate plums, figs and wine. The King didn’t want the beautiful view to go to waste so he thought of building the palace on top of the garden to serve as his summer residence. 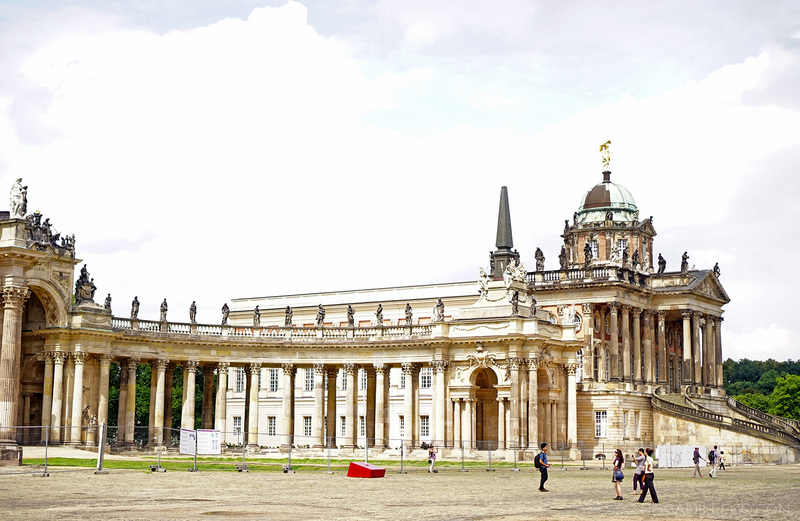 As I’ve mentioned, Sanssouci Palace is far smaller than the New Palace. It was built 20 years before the New Palace and was never intended to be anything more than the King’s private residence. 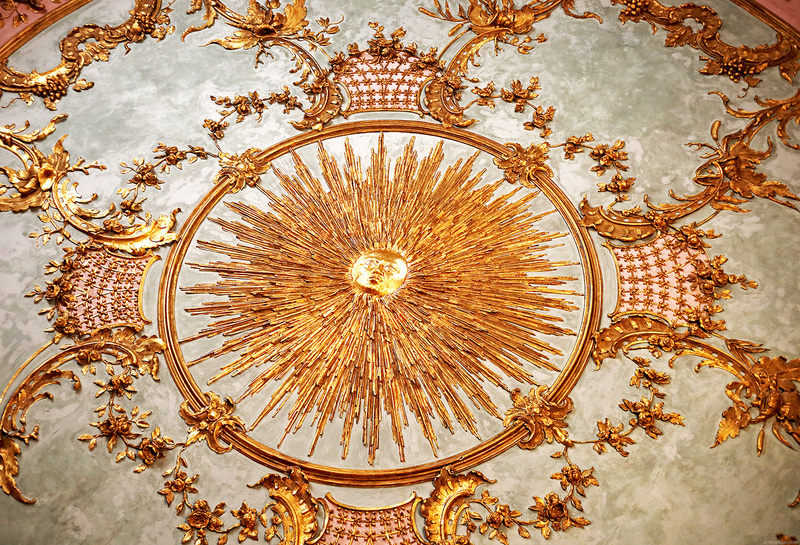 In fact, the palace’s name itself comes from the French phrase “sans souci” which means “without concern”. 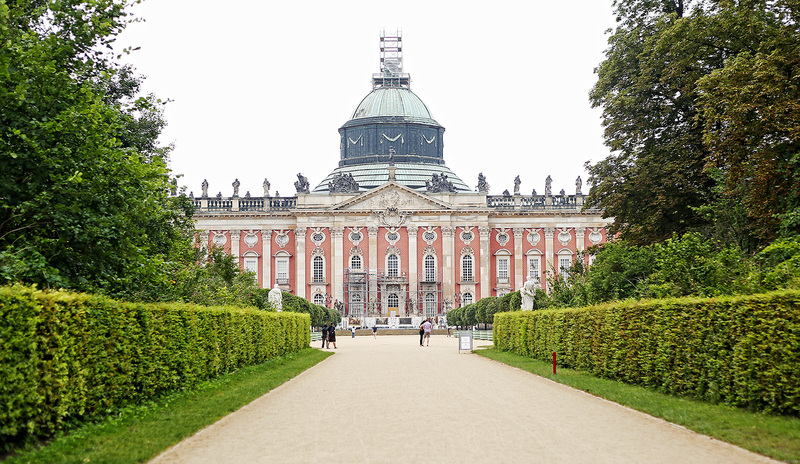 The King wanted Sanssouci Palace to be a place for relaxation, no fuss, no muss–a direct contrast to the New Palace. Sanssouci Palace is often considered the Versailles of Germany, although it’s much smaller in size and is more Rococo style than Baroque. 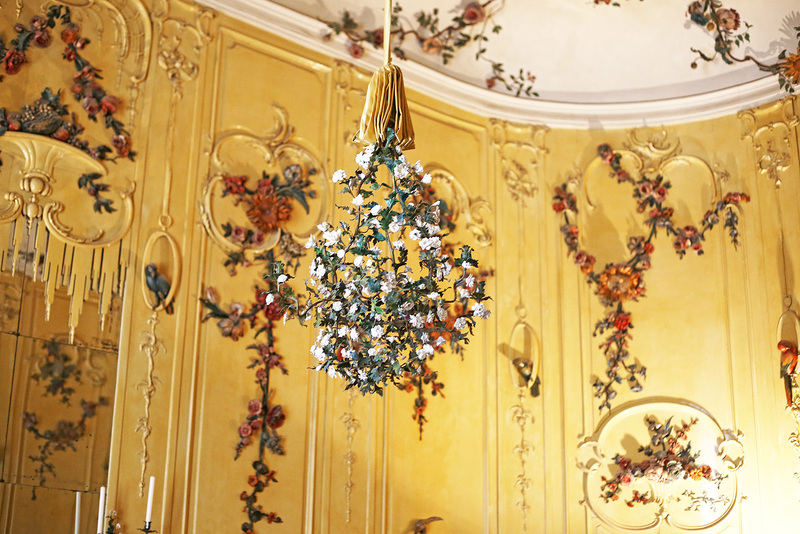 Frederick The Great’s really oversaw every little detail of the palace’s construction. 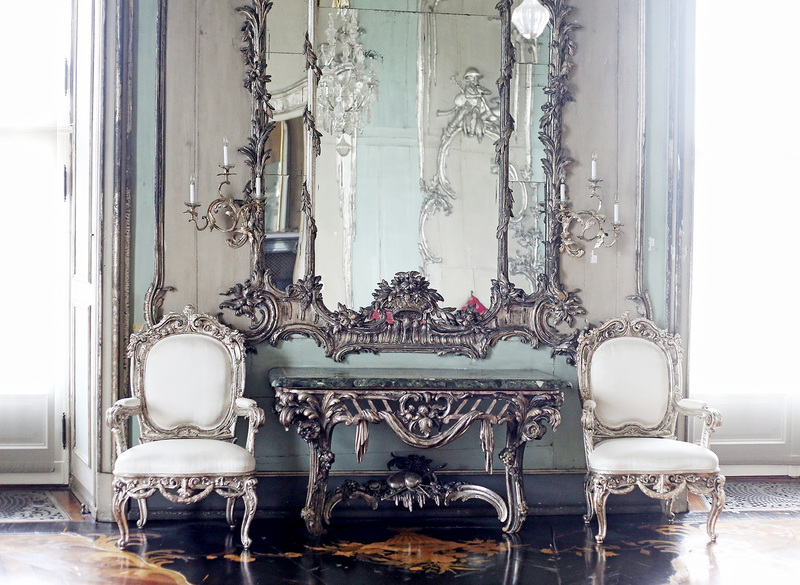 He made sure his personal style was incorporated into all of the rooms and decor. This is how “Frederician Rococo” was coined. 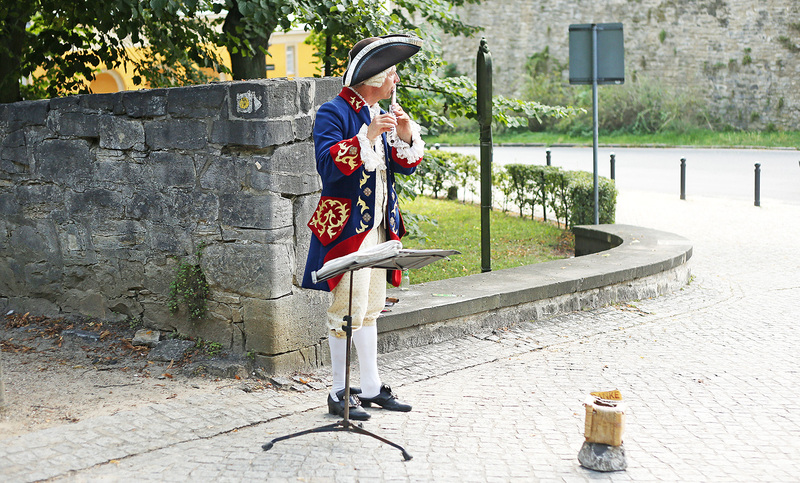 One thing is for sure, Frederick The Great has quite the taste! I approve! 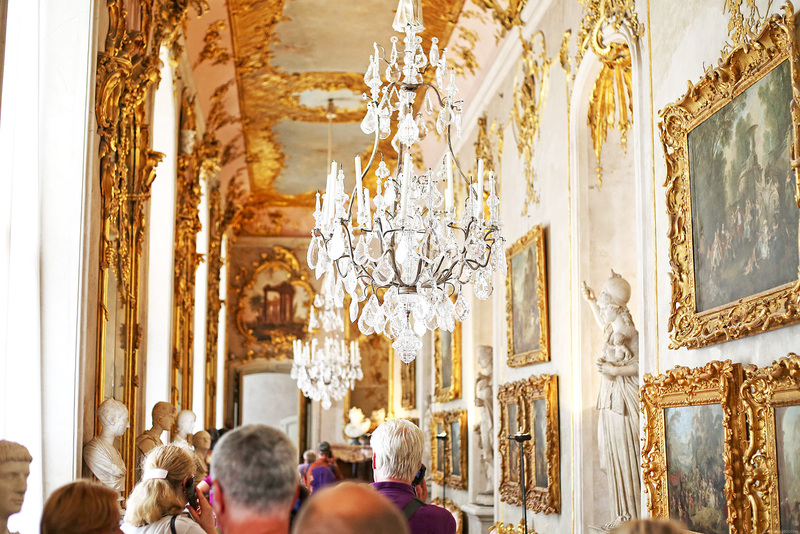 In all of the palaces at Sanssouci, I almost had a stiff neck looking up the ceilings and checking out all of the chandeliers. This one, in particular, was the most interesting. The entire room took the floral theme to the next level! This is the New Chambers with the historic Dutch windmill behind it. 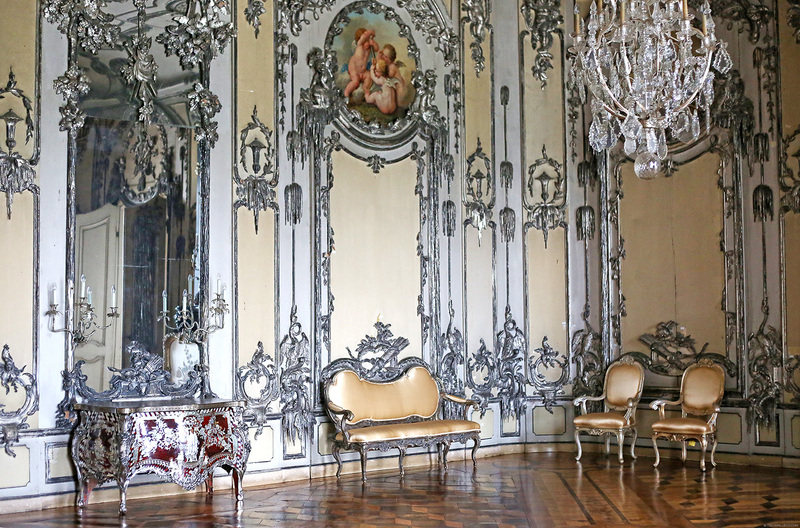 It was originally built as an orangery but Frederick The Great converted it into a splendidly decorated guest palace. You know Frederick, he’s my guy! He must be the most stylish king ever! My sister and I almost skipped the New Chambers because we spent so much time walking to and from the New Palace and Schloss Sanssouci. Good thing we made it just before its 6PM closing time. Look at this room! White and gold, just how I like it. I’d like my bedroom to look like this please! Our last stop was the Orangery Palace. I didn’t really get to explore this place because it was already closed by the time we reached it. (I told you it’s a walkathon!) Aside from the places I’ve shown you, there are still plenty of other sights to see at Sanssouci like the Picture Gallery, Charlottenhof Palace, Chinese House and the Roman Baths. 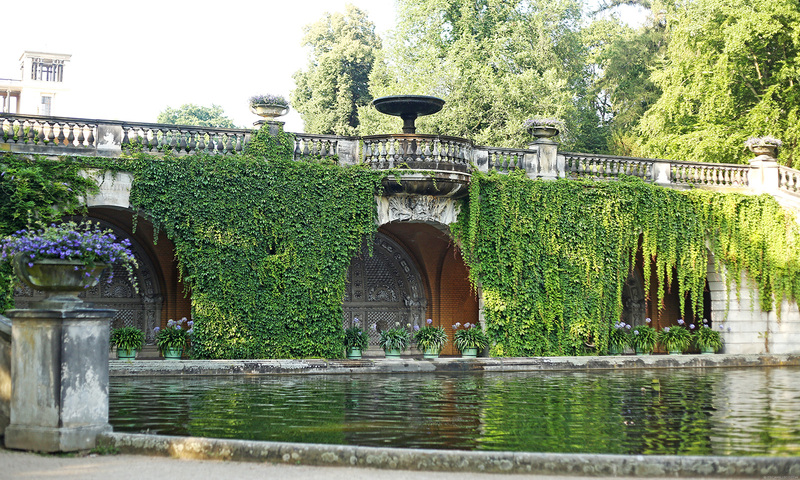 Sanssouci also has plenty of gardens and parks designed in the Baroque style. It was incredibly hot that day so I was thankful for them. They provided much-needed resting places for my sister and I after exploring all the palaces. Let me just pretend for a little while that I’m in some sort of secret garden. What did I tell you? 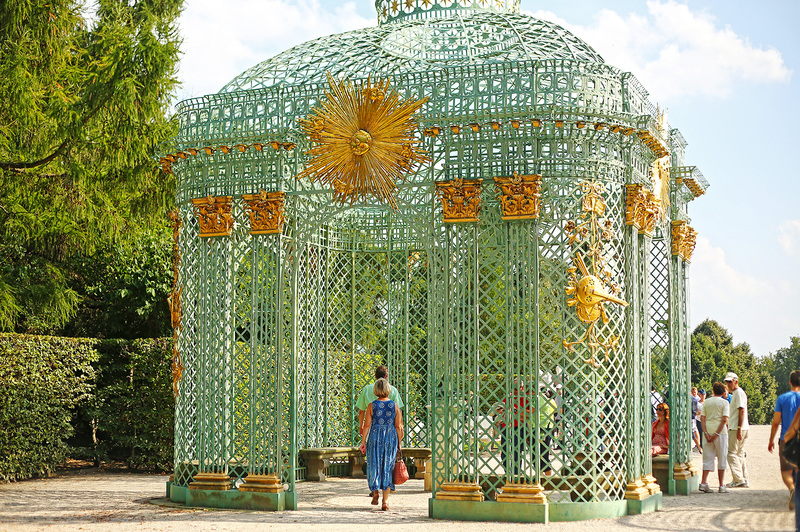 Sanssouci IS a dreamland! Hola, magnífico post. Me ha encantado todo lo que has mostrado y tu look es fabuloso.Bss y te sigo desde ya. Woah! One of the many reasons why I just can’t skip your travel diaries. This place is just soooo grand. Grabe, tapos yung isang Palace is for resting lang? I would love to be the King’s guest! May entrance fee dyan? Or free lang? Wow I wish I could travel like that! And dressed like you are truly belong :) Pretty Ms. Camille. Oh that’s weird. What’s your Internet service provider? Why can’t you!!! Oh no!!! Since when? Oh wow! :) She must love it there! everything about this post is beautiful!! Oh My God! I cannot believe the opulence and luxurious decorations! I just looove palaces and this one is absolutely gorgeous!! Wonderful photos, oh..
what a great place!can i know who took all your pictures in this trip? Where’d you get your top, Camille? So pretty! Do you know Edna Muniz? ms.cam may na pick na kau winner don sa AirASIAtoKOREA?? Ang gandaaaaaaaa ng place! So dreamy and I sure am gonna feel like a princess pag nandyan ako… It’s a must na ang kasama mo walking master din. I can’t imagine walking to different places with my grandmother in tow. hehehe. Mabuti naman at hindi masyado na apektohan ang mga lugar na ito noong kasagsagan ng WW2… It would be such a shame pag nawala ang mga ito. Yes! Dapat talaga someone who doesn’t mind walking. My sister gets tired easily but it’s okay because there were plenty of benches along the way. We just took short breaks in between :) Actually, some parts were destroyed also but of course, they restored them. It is truly a dreamland! Beautiful floral themed room and the terraced garden is amazing! Great photos and outfit. Wow! You’re so breathtakingly beautiful. I love these photos, Camille! The walkathon was definitely worth it. My sister has her moments too but she still takes my photos anyway haha! :) must be love! Iba talaga kapag nasa ibang bansa ka noh? The architecture is soooo incredible <3 Very historical and in a way, a bit romantic. The palaces are so beautiful! Glad I didn’t let my feelings take control of me and skip this post. 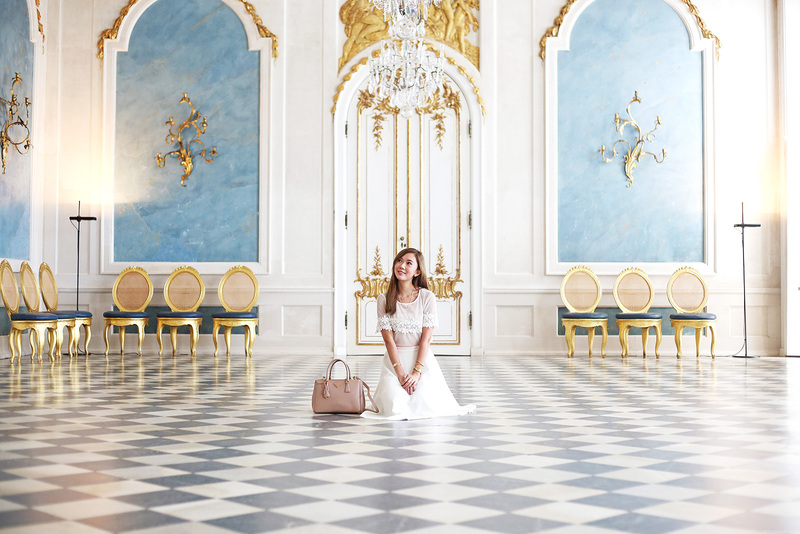 Sanssouci looks amazing and it’s pretty much like you’re Alice in Wonderland, exploring a new castle. Love the subtlety of this look! The palace looks incredible! such amazing photos! this place looks gorgeous! It’s not Frederick the Great, but Friedrich der Große. Frederick the Great in English. Haaaaaiiiizzzz!!! It’s so beautiful! I can walk here the whole day while pretending I own this dreamy place! You can’t be bored and get tired here?! I mean… you can pretend you’re having tea with pastries with your family or friends or riding a cute bicycle around the garden or reading a book under the shades with a glass of fruit shake! This is definitely every girls’ dream house! hahahaha! Gorgeous pictures and gorgeous outfit. Haha! :) But my sister gets first dibs!